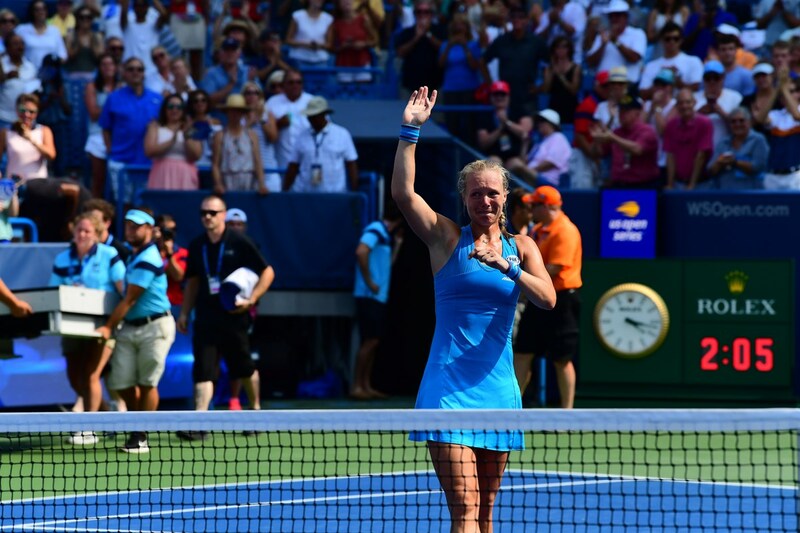 What a week for Kiki Bertens. In the first hard court final of her career, the Dutchwoman saved a match point to defeat world No. 1 Simona Halep 2-6, 7-6(6) 6-2 on Sunday and secure her second title of the year. It’s a stunning result for a player who admitted this week that she considered quitting tennis in 2017. Bertens persisted in 2018, explaining this week that she now feels “less stressed” when she steps onto the court. Her results have reflected her renewed outlook: The win over Halep marks her 10th over a top-10 player in 2018 and her fourth this week alone. She’s the first Dutch player ever to capture the Western & Southern Open crown, and the fifth unseeded tournament champion since 1933. Halep opened the match with a break of Bertens’ serve, setting the stage for a rock-solid first-set performance. Bertens would rebound in the second, getting a break of her own to go up 4-1 before Halep regained her rhythm and eventually forced a tiebreak. Bertens saved a match match point before sending the match to a decider. In a third set highlighted by blistering rallies between two players known more for their consistency than their power, Bertens was the first to consolidate a break of Halep’s serve at 2-1 -- and she never looked back. Halep, 26, earned style points for successfully hitting a tweener while down 1-4 in the final set, but it was Bertens who appeared to be the fresher of the two. Halep was competing in her second final in as many weeks, after capturing the title last week in Montreal. In her third Western & Southern Open final, the Romanian was looking to extend her nine-match winning streak and become the first player to complete the Canada-Cincinnati double since 1973. Both players will travel to New Haven next before heading to New York for the US Open.